Open cast coal mining is inevitably accompanied by a significant technological interference in the environment. This requires the due (during the technological process) restoration of the disrupted balance and the forming of a new environment consistent with the ecological requirements. Environment protection is one of the priority tasks for Mini Maritsa Iztok EAD. The environment protection legislation in force is strictly observed at the Company. The Company realizes its responsibility before the future generations and strictly complies with any environmental prescripts and mining norms, so that the fertility and the landscape are restored upon completing production. In 2013 we did the technical reclamation of 158.77 decares for agriculture and the leveling of 22.60 decares for forestry at Staroselets dump, Troyanovo-1 Mine. At Troyanovo-North Mine, in the area of Gledachevo the forestation with acacia (Robinia Pseudoacacia L.) planned for the period 2012 – 2015 is in process. 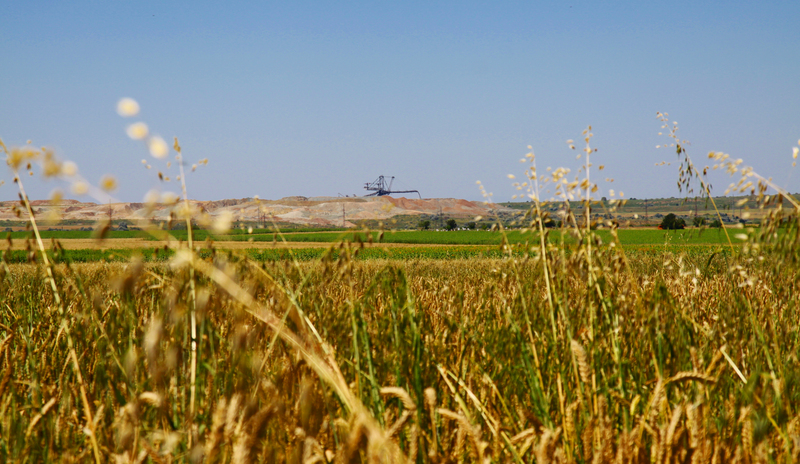 522,129 cubic metres of humus was collected at the mining operation front at the Company last year. BGN 1,135,000 were spent on that type of activities. Mini Maritsa Iztok EAD holds two Complex Permits – No 398-HO/2010 on the exploitation of United North Dumps and No 403-HO/2010 on the exploitation of Mednikarovo dump, both sites have the status of landfills for non-hazardous waste. The management of waste generated by the landfill activities is in compliance with the Mini Maritsa Iztok EAD Waste Management Programme 2011 – 2016. In 2013 there were no floods or accidents posing danger to people or the environment. The released mining water is under continuous monitoring. If necessary, it is neutralized with hydrated lime before it is let out to the central catchment areas. We have the practice to collect separately the domestic and industrial waste and the construction debris generated, and to treat them in line with the above mentioned Complex Permits and the Waste Management Programme. In 2013 we collected and delivered to licenced companies for recycling 14.5 tonnes of PET containers and 17.2 tonnes of batteries.